Robert Sonnenblick, president of Sonnenblick Development, said he would never add a resort fee to any of the hotels he owns. Hoteliers who add extra fees and surcharges to guests’ bills need to communicate the rationale for the practice and provide value for the extra charges, sources said. REPORT FROM THE U.S.—Hoteliers who add fees and surcharges to guests’ bills need to communicate why they do so and what value customers receive from the extra charges, sources said. 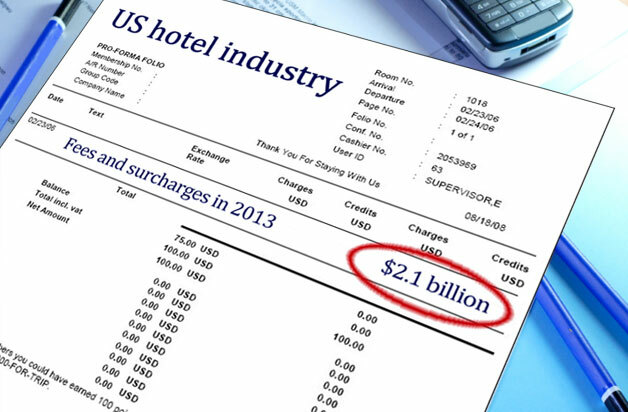 According to new research, this year hoteliers in the United States will collect $2.1 billion in fees and surcharges from guests. That’s up from $2 billion in 2012, a 6% increase, and nearly double from the $1.2 billion collected in 2000. The research is conducted annually by Bjorn Hanson, divisional dean of the Preston Robert Tisch Center for Hospitality, Tourism and Sports Management at New York University. The total includes items such as resort fees, early cancellation fees, telephone surcharges, minibar re-stocking fees, in-room safe charges, automatic gratuities and charges for high-speed Internet access. He said the intense media attention as airlines ratcheted up their fee schedules has made it easier for hoteliers to adopt the practice. “The fact that airlines started implementing what can be viewed as more-aggressive fees and surcharges has heightened awareness of (the practice) but also almost made it a common travel standard, making it a little bit easier for hotels to implement fees and surcharges,” he said. Hotel marketing consultant Brenda Fields said it’s important for hoteliers to provide fair value for fees they charge or risk a backlash from guests. The best approach, Harteveldt said, is for hoteliers to explain to guests how bundling the fees gives them better value than paying for services on an a la carte basis. Resort fees and charges for Internet service are the most controversial hotel fees, Harteveldt said. Guest responses to resort fees fall into several categories, Hanson said. Some might not like extra fees but they understand it’s become an industry practice, especially at resorts. Robert Sonnenblick, president of Sonnenblick Development, is especially vocal in his criticism of resort fees, calling them “a highly deceptive practice.” He said he would never add a resort fee to any of the hotels he owns. Even the perception of extra fees can upset some guests, said Birgit Radin, managing director of the DoubleTree Magnificent Mile and The Inn of Chicago, and a Hotel News Now columnist. She said because many guests are accustomed to free Internet service and free breakfast when they stay at limited-service hotels, they don’t want to pay for these things when they stay at full-service properties. At one time, energy surcharges were another source of many guest complaints. In the early 2000s, some hotel companies and properties instituted these charges to offset rising utility costs. Facing consumer complaints and possible legal actions, hoteliers gradually dropped the unpopular add-on fee, and Hanson doesn’t believe they’ll be back.